My thoughts exactly Paul well said! Aghh Milton and the rejoggin. I really didin't like this stronty story. I didnt like it because I remember wagner saying at the time that he was not going to brinkg back Wulf as he was a silly character. and that these weer the 'real' johnny alpha stories, all the ones were had previously read should be considered badly remembered folk tales. 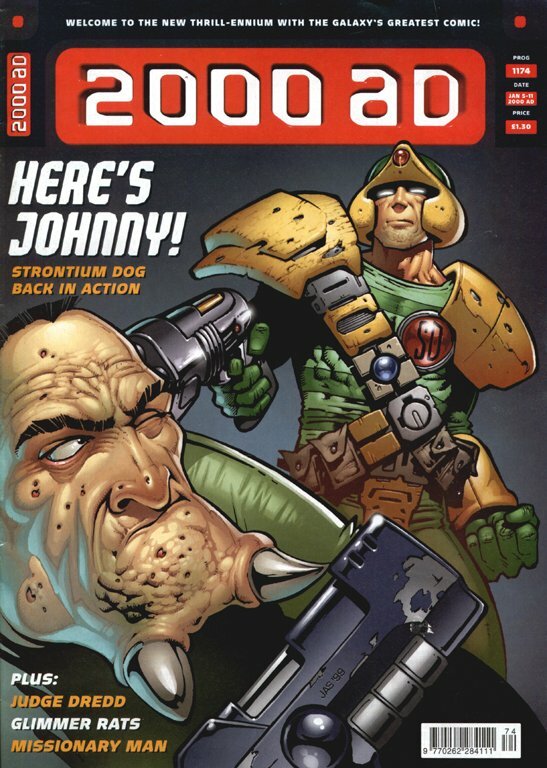 This story was my first real encounter with johnny Alpha, and I really enjoyed it. I'm glad Milton was dropped though, as the Weapons Crest in Nikolai Dante was a bit too similar. 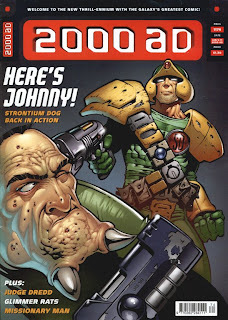 Personally speaking, I'm glad that SD was brought back as it seems like the New Church storyline didn't seem like a particularly great way to finish off the run and the Strontium Dogs follow up series were not the strongest efforts of any of the writers. Having got Agency Files 1-4 I'd happily put Blood Moon and Traitor to his kind on the same shelf as "Portrait..." and "Rage", and "The Tax Dodge" alongside "The Rammy." Paul, I don't know if you'd be tempted to get back into the weekly or not, but if you were there's an SD story called "The Life and Death of Johnny Alpha" coming out in the summer, and personally, i don't think I'd want to wait for the trade on that one. It's funny how some promotion can turn onee off a series, Victor. Perhaps it's a good job I never encountered any for SD's return. Actually Chris, the GN collections of the newer SD stories are on my Amazon Wish List for future purchase so intend to read 'em all one day. Is it me, or does Wagner take himself a bit too seriously? No offence Robert, but I think it's you :-). I think he takes his work seriously but he's one of the funniest comic writers of the last thirty years.